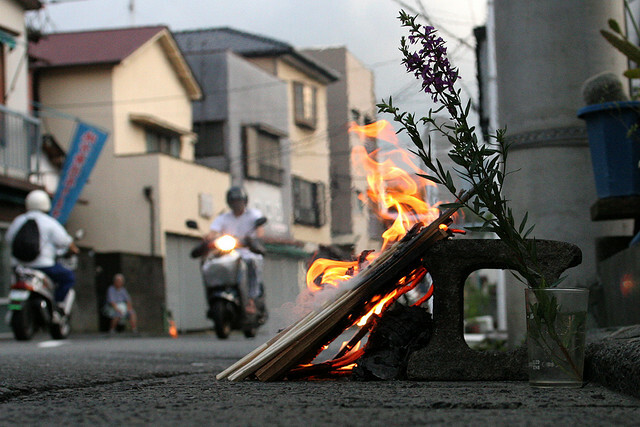 Despite Obon not being a public holiday, mid-August sees mass movements throughout Japan as folk flock back home to honour their ancestors with their loved ones, using some unique and interesting traditional methods. 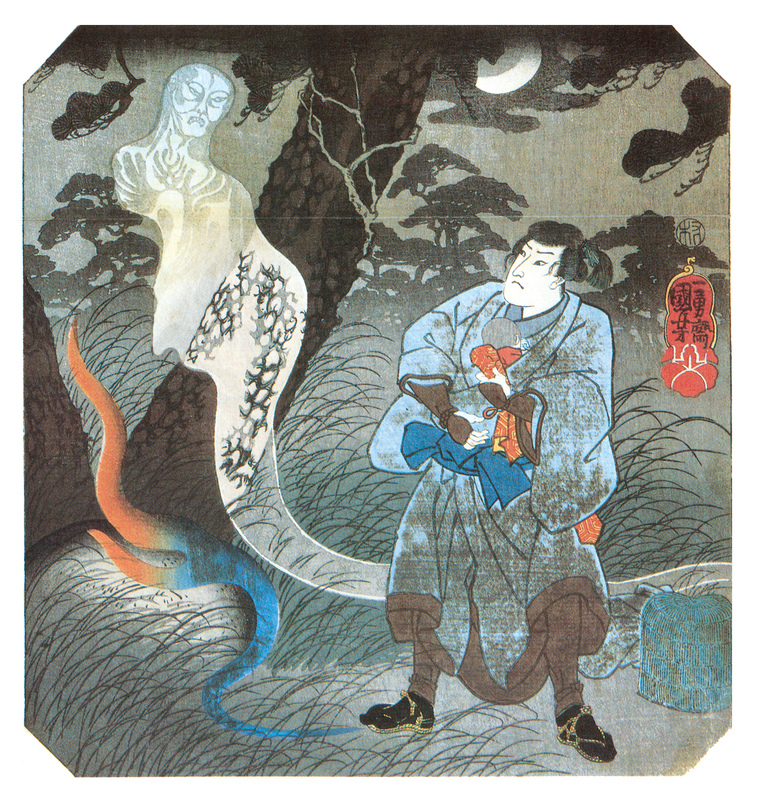 After cleaning and decorating the gravestones of the dead, families beckon the spirits to come out and join them, using lanterns and fires called mukae-bi to guide them. Many households erect a ‘shoryodana’ shelf, a household centre-piece featuring lanterns, incense sticks, pictures of relatives that have passed-away and, somewhat bizarrely, cucumbers and eggplants on cocktail-stick legs. These latter two represent the vehicles the spirits will travel upon, with the sleek cucumber being a swift horse to collect the spirits and the rotund aubergine being the cow that will get them back to the afterlife at a leisurely pace. 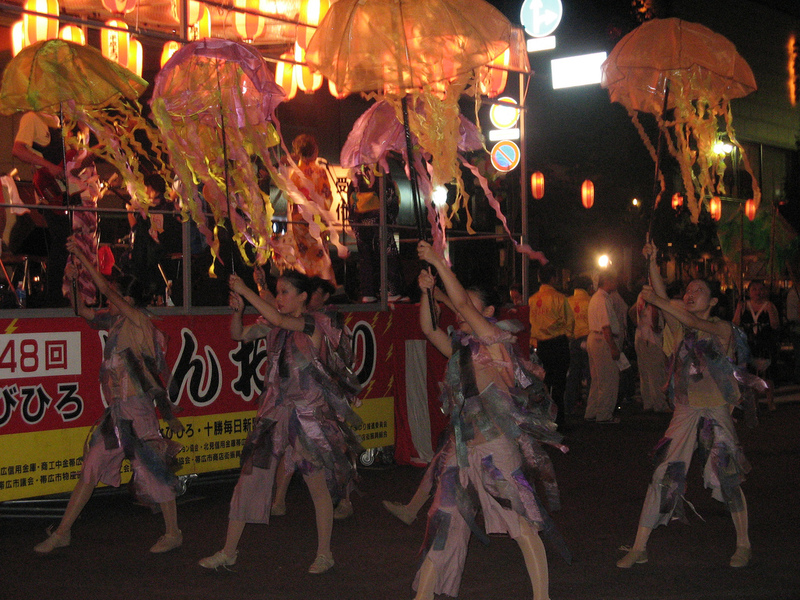 Many Japanese people believe that Obon coincides with the arrival of pesky jellyfish to the seas surrounding Japan. So even if the sun is shining and the temperature is through the roof, you won’t see many people swimming in the sea after Obon. The more you know! 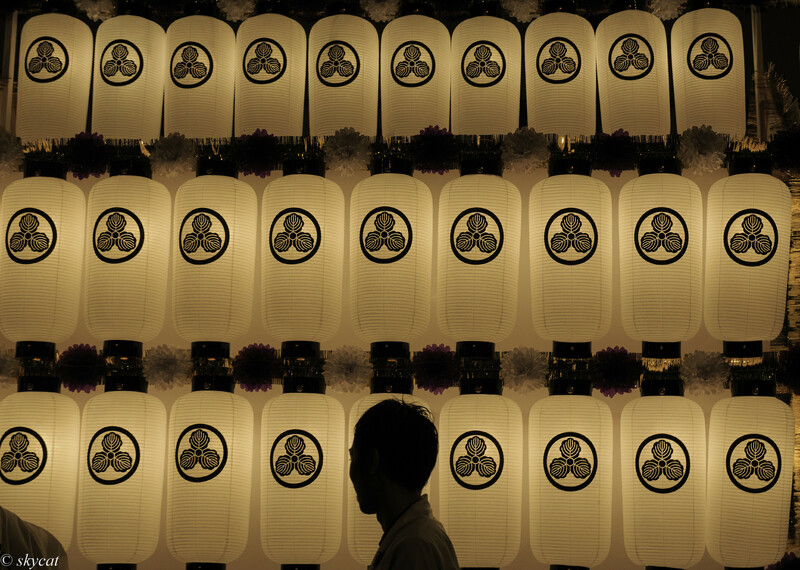 Have you got any Obon tales or images? We’d love to hear about them, get in touch on Facebook, Twitter or Instagram. 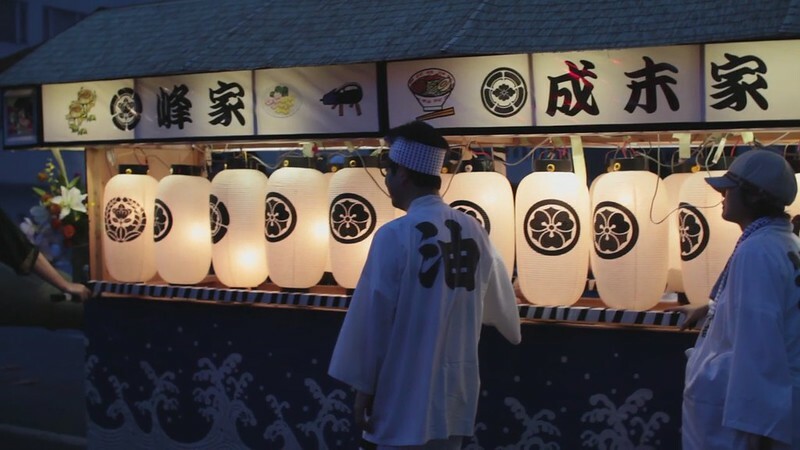 Posted in Uncategorized and tagged japan, japanese culture, Obon, Obon customs. Bookmark the permalink. 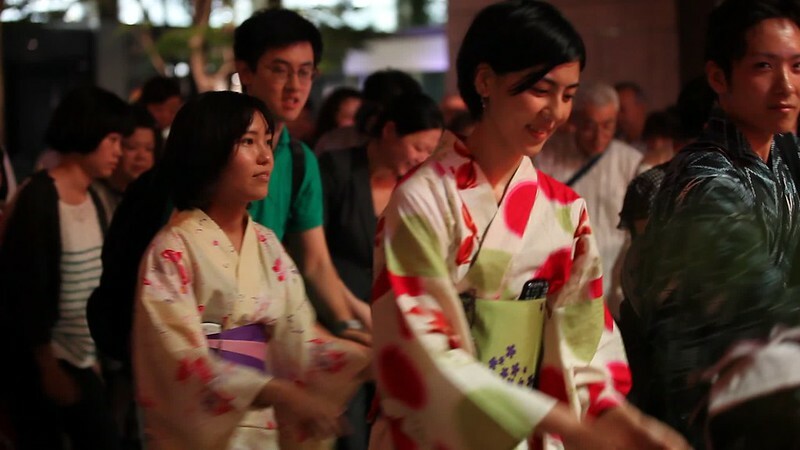 Yay Obon! I should visit my late Uncle and cousin.